We’ve all seen those house makeover shows where they take a broken-down property and refurbish it to sell and make a tidy profit. 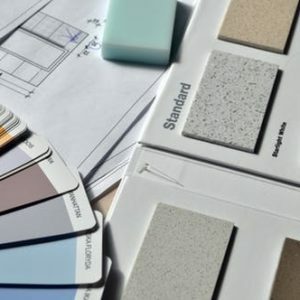 The renovation budget is often a fraction of the eventual increase in value. This trend is called house flipping and it’s becoming more and more popular as a way to make money fast. The real pros, like the ones you see on TV, know how to maximise the look and feel of a house so that it fetches top-dollar on the housing market. There are certain things that instantly add value to a home such as a modern kitchen, second bathroom or an open fire. However, not all adjustments have to involve extensive building work. 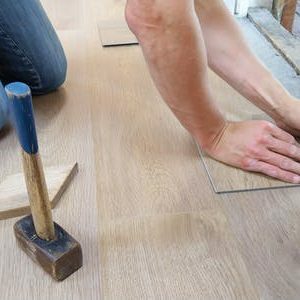 Installing a wooden floor can, by some estimates, add up to £25,000 to the market value of a property. In an average sized house, materials and installation cost nowhere near that amount so adding a wooden floor is a no-brainer for a house flipping pro. Why are wooden floors so appealing? It basically comes down to the way that people feel when they encounter wooden flooring. It’s a classic look that evokes the impression of warmth and cosy living. It’s also a tacit nod to the natural world which is a proven source of relaxation and nourishment for the mind and body. On the practical side of things, wooden floors are relatively easy to maintain. Spillages can just be wiped up and there is no hoovering to do. You could go for solid wood floors. These offer a traditional look and a beautiful texture. It’s possible to sand them over and over again to restore their beauty after a period of wear. 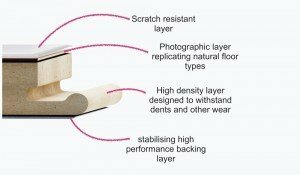 Another option is engineered wood flooring. This is where only the top few layers of the flooring panel are actually made from whatever wood you choose. The panels fit closely together and it’s possible to fit them in a variety of ways. Engineered floors look stunning and they’re built to last. They’re also often a more affordable choice for many people. If you are flipping a house, you need to keep a tight rein on that budget to maximise your potential for profit. Top providers of engineered flooring like Quick-step and Sanders & Fink offer a huge range of patterns and materials so you can craft a look that appeals to your target market. This means a quick sale and the chance to move on to your next big project.